Having some trouble with Blogger today. Couldn't get it to publish my words, but I've switched over to the new version & I think I'm good to go. I know that Christmas is not all about gifts & I would be totally fine if I didn't receive anything for Christmas. But these are the gifts & purchases we made that are totally making me happy right now. Dylan's gift to me this year was all these cool cuts of fabric from reprodepot.com. I LOVE them all! I just have to figure out what to make with them. Pretty exciting. Dyl does such an incredible job of finding gifts for me. Even though I always say that I don't know what I want. 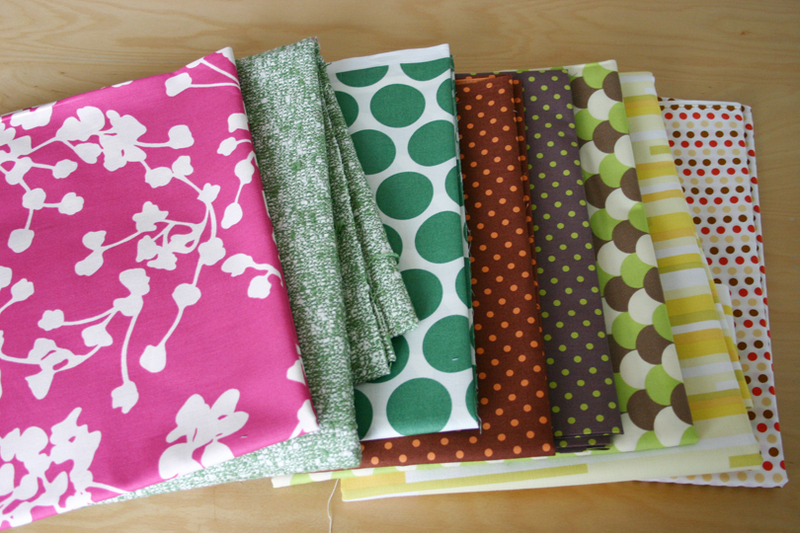 I love all these polka dots & I'm just in love with the pink fabric on top. My stylish sister-in-law Jacqueline got me this brand new set of red pots & pans. They are gorgeous & way nicer & sturdier than the ones I received for our wedding almost 7 years ago. 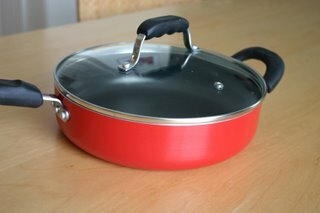 I'm so excited to get cooking with these. Thanks Jackie! 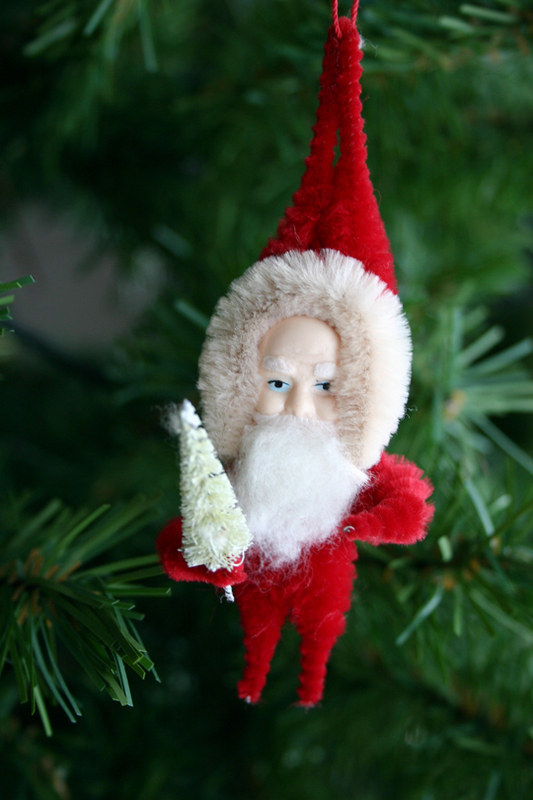 This little pipe cleaner santa claus kinda freaked me out when I first saw his face, then we couldn't stop laughing at him. Check out those pokey little legs. Too funny. I was so excited about these vintage buttons. Bought 2 little bags. One in blues, one in ivory. These were just too fun to dump out and see what was stuffed in there. They are oh so pretty & make me way, way excited even though I don't know what I'll be doing with them yet. 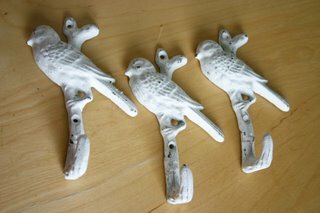 And these great little bird hooks were only $3 a piece. We saw some almost exactly like these just a week earlier at Urban Outfitters. I don't even know how much they were charging for them. I picture these in the girls' room with little bags & aprons & such hanging from them. I'm wondering what the goods are... I'm sure you'll let us know. Anyway, you look so good and skinny in the picture with Dylan. Are you sure you're pregnant? Let's see some more belly shots. I love those. I absolutly LOVE looking at your blog, because you always have the coolest links. I love the fabric that Dylan gave you, and that site was way awesome. I just have to find the time and money to do stuff like that, one day! Oh, and I was having issues with Blogger today too dang it!